Welcome to beautiful Boca Greens. Whether an avid golfer or just enjoying the view, Boca Greens offers something for everyone. A community of 586 single family homes nestled among 175 manicured acres of world class golf, Boca Greens is a rare find. Located in Boca Raton, Boca Greens is one of the few Country Club communities that does not require mandatory membership to the club or equity to purchase a home. Interested in the amenities? Boca Greens Country Club boasts a spectacular 18 hole championship course designed by famed architect, Gentleman Joe Lee including a large, all grass practice facility with putting green, short game chipping area and practice bunker. A wide variety of memberships are available to meet everyone's needs and expectations. Members enjoy the newly renovated clubhouse, fully equipped fitness center, golf shop and 5 Har-Tru lighted tennis courts. Gourmet and casual dining, entertainment, Sunday brunch, barbeques and buffets are also available. When you call Boca Greens home, sweeping golf views like these are included tax free and you don't have to mow them! Thank you for visiting, we hope next time you'll stay! 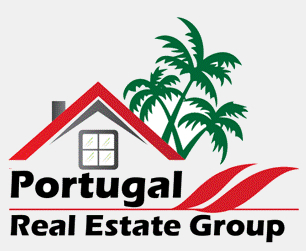 Your friend in the Real Estate business.